In case you missed it, we covered some of our favorites from the Nordstrom Anniversary sale that went public yesterday, you can check it out here. Today, we are going to be covering one of our favorite topics, SHOES! 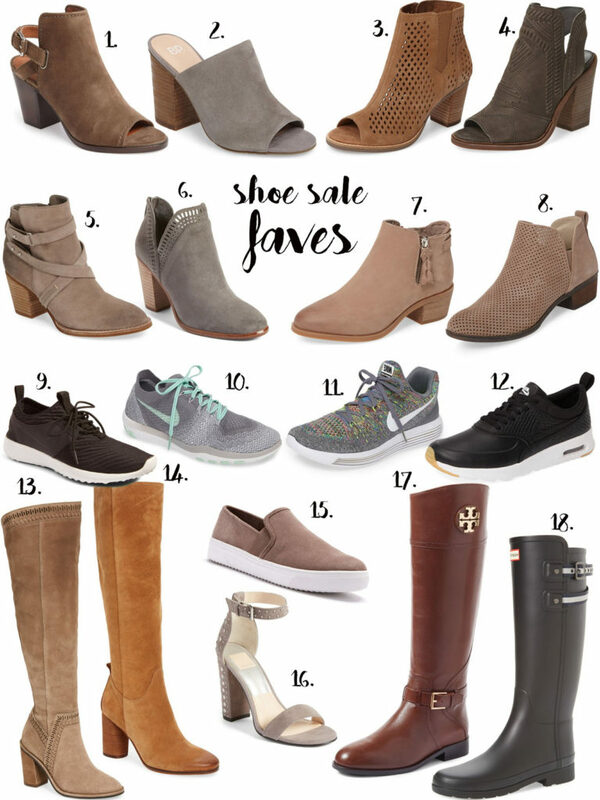 There are SO many good shoes on sale, and the good news is, most of them are still available in most sizes! We got these grey booties (#6) and they’re under $100 and fit. We have the older version of these Tom’s booties (#3) and highly recommend them! They are SO comfy! We also purchased these flat booties (#8) because they can go with shorts, jeans, leggings, etc. and they’re under $70. These peep toe booties (#4) are under $100 and we bought them in the taupe! If you’re looking for a knee-high boots, these Sam Edelman boots (#14) are so comfy and a great color!